ANCO is expanding its business into Greece with Elanco Hellas as distributor for Anco FIT. The Anco FIT launch took place in Ioannina, which is the capital of the Epirus region in north-western Greece. The city spreads out around the beautiful lake Pamvotida and has the Pindus mountains as a backdrop. Ioannina is also based in the most important region for the poultry industry in Greece. Elanco Hellas S.A.C.I. 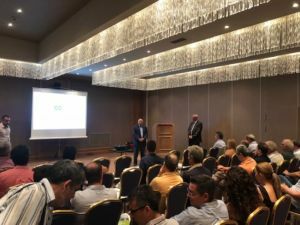 invited their sales team and customers to the Hotel Du Lac Congress center for the official launch of the Anco FIT product range in Greece. Andreas Kern, managing director at ANCO, presented an overview of the Anco FIT product range and experience with it so far. The products are already being sold into the animal feed industry in more than 30 countries across the globe. 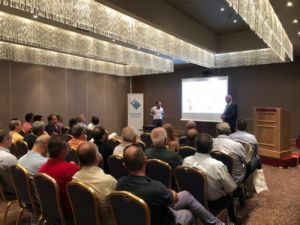 The audience was excited to hear about research results with Anco FIT Poultry in broilers, presented by Dr. Kostas Mountzouris from the Agricultural University of Athens. 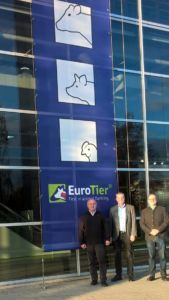 ELANCO HELLAS meets the needs of Greek agricultural and livestock producers in the production process by introducing innovative products from major international companies such as DOW AgroSciences and Elanco International. ELANCO HELLAS represents and distributes products of multinational companies of crop protection, veterinary medicines and seeds since 1984. Today, ELANCO HELLAS is composed of three administrations, the Directorate General, the Commercial Department and the Finance Department. The Commercial Division is organized in departments/ sections related to the product groups, the company distributes. The sales departments are Agrochemicals, Field Crop Seeds, Vegetable Seeds and Veterinary. The above segments are supported by the following departments: Research and Development, Marketing, Credit Control, Accounting, Imports, IT, Human Resources and Logistics.